Is music important to you? Do you want to share that passion and love with the youth of today? The GACE Music Assessment could open those doors for you! 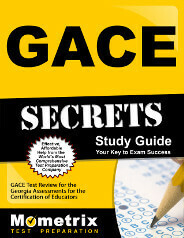 The GACE Music Assessment is a test designed for individuals who want to teach music in the state of Georgia. Upon passing this test, individuals will be qualified to teach all-levels music, P-12th grade in Georgia. The assessment consists of 2 different tests, which may be taken individually or together on the same day. Both of the GACE Music Assessment tests are computer-based in format with two hours given to complete each test. An extra 30 minutes is added to the testing time for computer testing tutorials. Each test is made up of 80 selected-response questions, such as matching, multiple choice and/or true-false questions. The questions on both tests assess basic music skills and knowledge, as well as application of this knowledge in a classroom setting. Most tests also include extra selected-response questions, which are not included in the actual test scoring, but are used to determine test-taker performance. Testing windows for the GACE Music Assessment are offered during the months of August, October, February, April, May and June. Test results are available approximately 2 weeks after specific test dates. Do you need help preparing for the GACE Music Assessment? No problem! There are several types of study materials available to use, such as interactive practice tests, tests at a glance (which give a quick overview of the tests), tutorials, videos, webinars and other strategies and tips. Help others develop a love and passion for music and change a life forever! 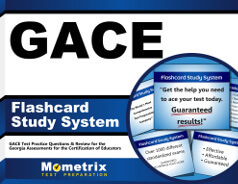 Take the GACE Music Assessment!